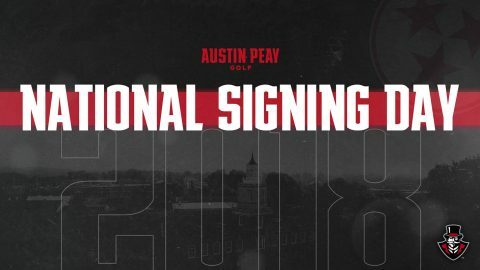 Clarksville, TN – Austin Peay State University (APSU) women’s golf has added two during the early signing period for the 2019-20 season, welcoming Zacori Hill and Hannah Holland, both Chattanooga Tennessee natives, into their ranks. Hill was a back-to-back top-10 finisher at the TSSAA Division II-A state championship, placing seventh as a junior in 2017 and 10th in October, with Boyd Buchanan finishing second overall in both appearances. She earned thre medalist honors as a senior, at the Bradley Central Invitational and the Boyd Buchanan Buc Classic and as district champion. She was Boyd Buchanan’s low scorer in three of six tournaments this year, with the Bucs earning five team victories, including city, district and region titles. In addition, Hill was a staple on multiple local and regional summer tours, with multiple top-five showings on the Hurricane Junior Golf Tour, Sneds Tour, Southern States Junior Classic and Chattanooga District Golf Association Tour. As a prep at Sale Creek High School, she led the Lady Panthers to district and region titles as a senior and a third-place showing in the TSSAA Class A/AA championships, with Holland palcing fourth overall. She was a four-year all-district and all-region performer and became the first student-athlete in Sale Creek history to be an all-state honoree in multiple sports (golf and softball). Holland is a consistent winner—she won two titles on the Sneds Tour during her age-16 season and another before her junior campaign and ranked seventh in the state of Tennessee on the Hurricane Junior Golf Tour list. And as McCollum alluded to, she can really swing the driver—she was five yards behind Alexis Belton, a World Long Drive champion, at the Golf Capital of Tennessee Women’s Open Long Drive competition in April. Hill and Holland join a talented Austin Peay State University squad which just repeated as champion of the Town and Country Invitational in Nashville and return multiple talented pieces for the 2019-20 season.